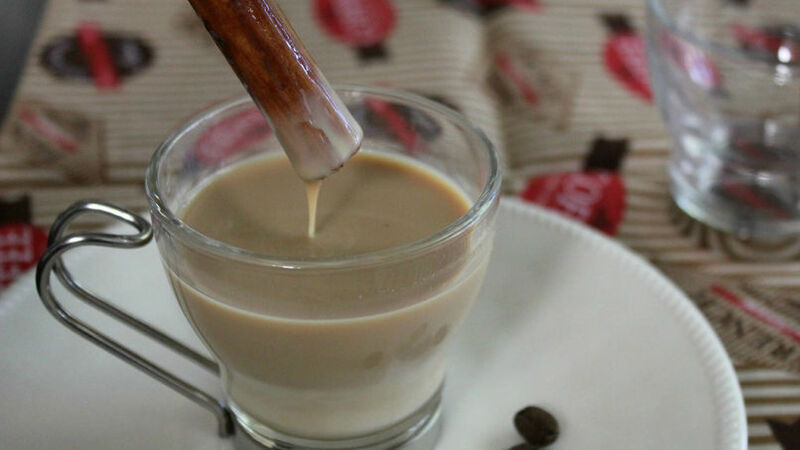 Combine the coffee with the condensed milk. Add the powdered milk and liquid milk. You can decorate with whipped cream. My mom might just be the biggest coffee fan in the world, specifically of lattes. She usually has a cup of coffee with her breakfast every morning and then again after lunch. One day my sister decided to give her coffee a personal touch. She combined a bit of powdered milk with condensed milk and a pinch of cinnamon. She liked the result so much that she now serves it as dessert. When it's warm, they usually prepare it cold with a few cubes of ice. Regardless of the temperature, this latte makes a great treat for coffee lovers. How will you take yours?